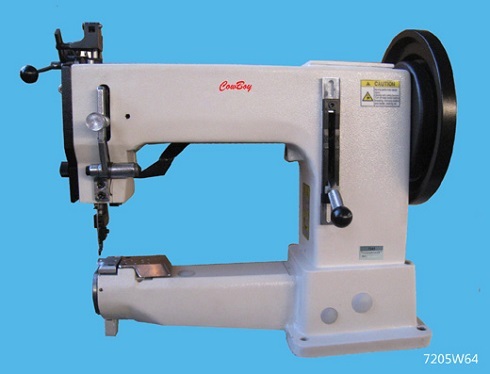 Features: Single needle double thread lockstitch machine for sewing box soles onto shoes and ankle boots; The machine has a rotation arm or horn which supports the shoe to make sewing easy around the toe and heel; Max. 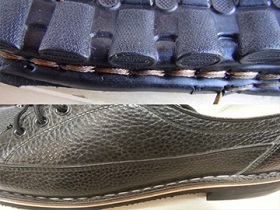 daily production 1000 pairs; Equipped with Ho Hsing servo position motor and heavy duty foot lift solenoid; We also supply pnuematic bladder bag presses for sticking the sole onto the upper prior to using the 169 side wall stitcher; This side wall sole stitching machine adopts compound feed mechanism that guarantees the uniform stitches. 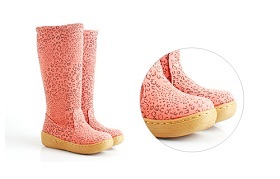 Applications:Suitable for leather boots, working boots, safety footwear, leather shoes, sports shoes, leisure shoes, casual shoes, sandals, side seam locking type sideline processing. Features: Adler 204 type large Barrel shuttle; The narrow sewing parts are particular for stitching small borders (soles for shoes, sandals and slippers). This machine is capable of intermediate ruffling works as desired by changing the amount of upper feeding against lower feeding; Amount of the feeding ratio between upper feed and lower feed can easily be changed to obtain intermediate ruffling stitches; Various kinds of ruffling or fold edge moccasin or open edge moccasin stitches can be performed. Tape binder for binding heavy material is available. 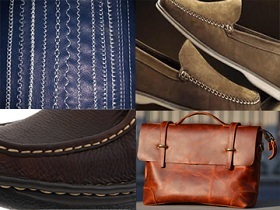 Applications: stitching overlapping tubular genuine moccasins, ruffling work and tape binding finish for heavy materials such shoes upper, sandals and slippers, suitcases, luggage, furniture upholstery, ski boots, hand bags made in soft leather, knapsacks, leather shoes, sports and camping equipment and other leather goods. 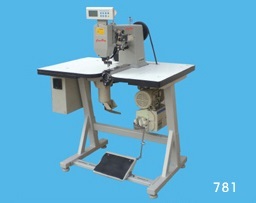 This machine can work as side wall sole stitching machine. 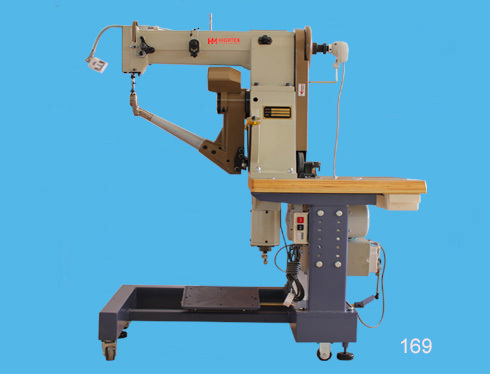 Features: This ornamental stitching machine is special designed for shoes making industry; Long sewing cycles by Barrel shuttle hook with large bobbin capacity, even sewing with extremely thick thread; Can sew heavy weight materials such as canvas, vinyl, leather, synthetics and various coated, laminated and rubberized fabrics; Excellent climbing properties and high needle penetration power guarantee easy sewing thick spots or cross seams, without skipped stitch, loosing bottom thread and shorten stitch length; The tailor-made compensating roller presser foot is particular for stitching butted/overlapping seams (different thickness); Piping cord insert is available. Applications: thick thread decorative sewing shoes uppers, footwear, leather sofas and furniture, marine upholstery, luggage, suitcases, leather bags, canvas, backpacks, automotive trim as well as heavy fabric, such as jeans, sunshade, tents and fabric sofas.